Matthew Fisenne is the Managing Director and Marketing Director of the Visions 9 Film Festival & Conference. Hailing originally from Charlotte, NC, Matthew moved to Wilmington to study film at the University of North Carolina Wilmington. Originally a theatre addict, Matthew’s interests set their sights on film after taking an editing class. Since then, he has jumped headfirst into every opportunity he could get his hands on. Matthew has directed several projects at Wilmington and hopes to continue down that path, learning everything he can. Last year Matthew was the Marketing Director of the Visions 8 Film Festival and Conference and has moved up in the world. Hopefully in the future you will see him on the big screen, or at least in the credits. Returning to the team this year, Katie Black is the Managing Director and Development Director of Visions 9 Film Festival & Conference. 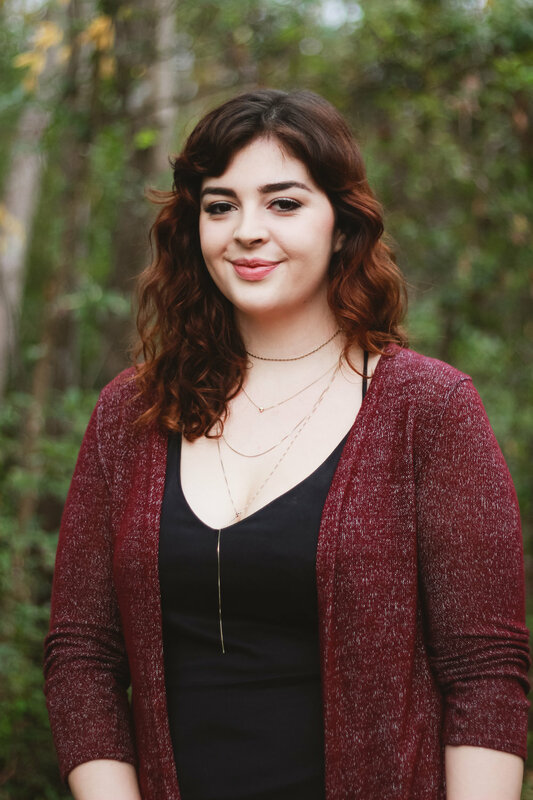 Her passion for film ultimately propelled her to the University of North Carolina Wilmington, where she is now a senior pursuing a degree in Film Studies with a minor in Anthropology. She finds herself striving for balance between her realistic efficiency-focused mind and her head-in-the-clouds creative spirit. Lately, she has been most successful in achieving this balance through producing, directing, editing, and now film festival management, but she is also eager to learn about and experience all aspects of film production. Alongside her love for film and television, her main interests lie in design, business, and human sciences — each of which she hopes to incorporate into her career in some way. In her downtime, she is at her happiest watching a movie or TV show, surrounded by animals. Marika is the Programming Director of the Visions 9 Film Festival & Conference. In her final year at UNCW, she is wanting to pursue film or music festivals further and eventually enter the industry as a permanent staff member, while still having time to create her own short films on the side. Her passion for film festivals stemmed from her involvement in Visions 8 last year as the Social Media Coordinator. Marika also enjoys other forms of entertainment, from trap music videos to still photography to just enjoying the great outdoors. Her dream is to live in the middle of nowhere with a large amount of dogs and access to any film she wants to watch. Carleigh Laxton is a Programming Assistant for the Visions 9 Film Festival & Conference. Currently, she is studying as a Film Studies and Philosophy double major. Her love of the two subjects came after viewing Star Wars at a young age. All of the universe’s wonder was placed in two setting suns, and the eight year old Carleigh was done for. She enjoys the academic study of film, and after college she plans to continue her studies in pursuit of becoming a professor, hopefully adopting a few (many) dogs along the way. Arthur Tweeten is the Awards Coordinator, Volunteer Coordinator, and Development Assistant of the Visions 9 Film Festival & Conference. Arthur transferred to UNCW in fall of 2017, where he is currently finishing his senior year in Film Studies. He previously studied Business Administration at Fort Lewis College where he spent a considerable amount of his time connecting businesses with local artists to collaborate through various events and competitions. Arthur has been fascinated by the film since childhood and insists on being involved in any opportunity to engage in all aspects of the industry. He began recreating classic movie scenes the moment he acquired a VHS Camcorder, which eventually led to short narrative, experimental, and skate/snowboard edits. Arthur has a strong entrepreneurial background, and passion for capturing creative new ways to tell a story through cinema. Post-graduation, Arthur will continue to pursue a career in film production and distribution. Andrea Newton is the V9 Development Assistant, Bake Sales, Catering, & Inventory Coordinator. She is originally from Indian Trail, NC. She is in her third year at UNCW and is a film studies major with a minor in religion. Her interest in film started when she was very young and it turned into a dream for her future. In addition to film, her passions are religion, teaching, literature, and travel. Tara O’Brien is the Hospitality & Outreach Director for Visions 9 Film Festival & Conference. Her interest for film began in high school after taking a history of film and film production class. This interest eventually developed into a passion that lead Tara to the University of North Carolina Wilmington, where she is now a senior majoring in Film Studies with a double minor in Creative Writing and International Studies. She finds herself most interested in producing and the business aspects of film but she also enjoys learning about all aspects of film production. Alongside her love for film her main interests lie in learning about other cultures, writing, and marketing. In her off time she enjoys reading a good book, watching a movie or going dancing with friends. Isabella Galletto is the Hospitality & Outreach Assistant Director for the Visions 9 Film Festival & Conference. Currently in her third year at UNCW, Isabella is majoring in Film Studies and minoring in Journalism. She is involved in local community outreach such as leading the on campus organization, as Vice President of Habitat for Humanity and mentoring high school students through Centro Hispano’s MI CASA program. She also is employed by the university as Public Relation chair for Seahawk Admissions Network for Diversity through the Office of Admissions, Seahawk Link through the Office of Transitions, and being a Resident Assistant for incoming freshman through Housing and Residence Life. In her free time, Isabella is passionate about advancing her skills through photography, cinematography, and writing. She aspires to explore the fluidity that creativity can bring to her future career. Ashley Spillane is the Hospitality and Outreach Assistant: Video Race Coordinator and After Party Assistant of the Visions 9 Film Festival & Conference. She is currently in her third year at UNCW and is majoring in Film Studies and minoring in Digital Arts. She is interested in many aspects of filmmaking and critical studies, and her time spent interning for Film Matters Magazine and Working Films this past summer allowed her to expand upon her love for writing and documentary filmmaking. Ultimately, her goal is to work as an editor or sound designer in the film industry after graduation. When she is not watching, making, or writing about films, she enjoys reading, painting, and experimenting with graphic design. Blake Barnette is the Video Race Coordinator and Swag Coordinator of Visions 9 Film Festival & Conference. She graduated from Early College high school in 2016 with an Associate’s of Arts before deciding to pursue a Film Studies degree and Creative Writing minor at UNC Wilmington. Since being in her family’s early home videos, Blake has had a passion for the art of film in addition to many other art forms such as writing, playing musical instruments, and sketching. She spends her time writing scripts and songs, performing at small festivals and shows in NC, and spending time with friends. After she graduates in the spring of 2020, Blake plans to pursue a career in directing music videos or screenwriting for short films or television. Daniel Stinson is the Art Director for Visions 9. 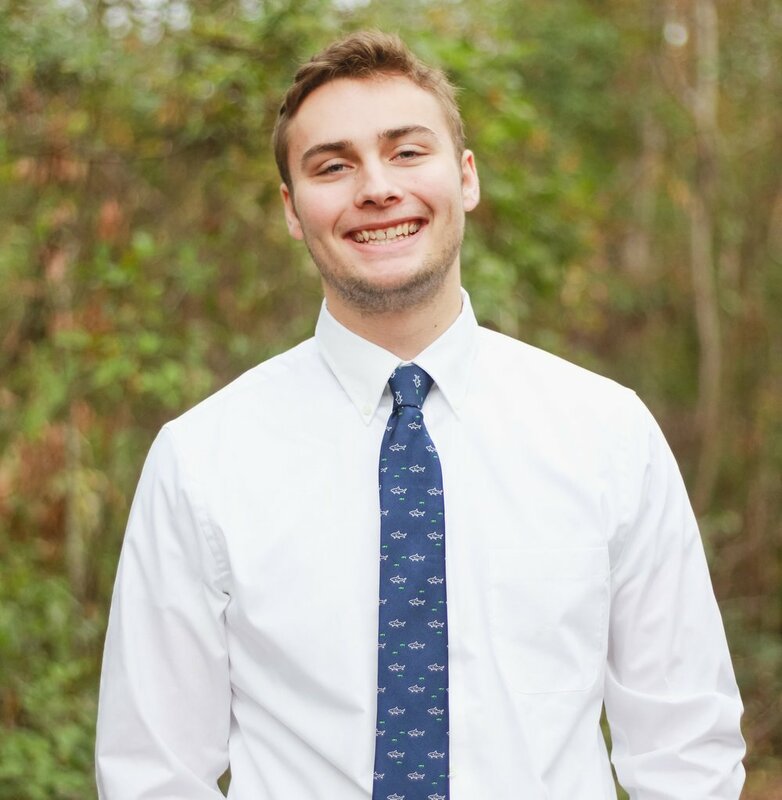 Currently, he is a senior at University of North Carolina Wilmington, majoring in Film Studies and minoring in Spanish and Creative Writing. At the age of five, he would create short stop-motion films with his dad’s video camera. He has become invested in several aspects of film, such as editing for the past ten years, acting throughout high school, and most recently, motion graphics work. Most recently, he interned at Working Narratives in Wilmington, NC, focusing on motion graphic design and advertising for their yearly conference. Rifka Roth is the Lead Graphic Designer and Assistant Video Editor for the Visions 9 Film Festival & Conference. A Film Studies and Communication Studies double-major at UNCW, Rifka is passionate about documentary filmmaking and editing. UNCW has been her first choice since she was in middle school, making embarrassing music videos and skits in hopes of becoming a famous YouTuber. She also independently manages her own art business, selling her work by commission and clothing/stickers (@rifruff on Instagram). In the future, she aspires to be documentary film editor, hopefully getting out of North Carolina in the process. Khai Hammett is the Video Editor and Web Master for Visions 9 Film Festival & Conference. He is currently a senior at the University of North Carolina- Wilmington with a major in Film Studies. Video editing has always been a big part of his life as he first delved into the passion when he was in high school, making small movies with his friends. He continues to make his dream of editing a reality as he has interned with Orange Street Films in Wilmington and M24 in Los Angeles, CA. In terms of editing style, he is very flexible as he can edit anything from music videos to narrative films. Besides editing, he enjoys being snobby about beer and pretending he has a life. After graduation he plans to move to Los Angeles where he can fully pursue a career in editing. Luis Vences is an animator for the Visions 9 Film Festival & Conference. Luis, originally from Pinebluff, NC, is currently living in Wilmington, NC, and is a senior at UNCW. He is working for a Bachelor’s degree for Film Studies. Since he was young, Luis has been interested in the behind the scenes process of films. He has done small film projects both out of and in school. Luis enjoys many aspects of film, from writing to editing, and has even branched out from film to logo, animation, and graphic design. He is trying something from each of these fields to help him decide on what he wants to do after he graduates. Lily Frame is the Social Media, Interview, and Archivist Coordinator for Visions 9 Film Festival & Conference. She traded in the West Virginian country roads for the North Carolinian beach town as a means to attend the University of North Carolina Wilmington so she could major in Film Studies and minor in French. She is interested in home movies because it combines her favorite forms of filmmaking: experimental and documentary. This summer Lily interned with Cucalorus Festival, Film Matters Magazine, and Greenwich International Film Festival -- she continues to work alongside them today. She enjoys a wide repertoire of films fluctuating from Chungking Express (1994) to The Room (2003) and can oftentimes be found curled up with her cat and a Hemingway novel. She is currently directing a project in hopes of finding a chapter of Delta Kappa Alpha, the only professional cinematic fraternity, on UNCW’s campus. Lily plans on earning her masters and doctorate degree to pursue her dream of teaching at college-level with a concentration in experimental cinema and film preservation/restoration. Ricki Nelson is the Marketing Assistant for the Visions 9 Film Festival & Conference. Currently a junior at the University of North Carolina Wilmington, Ricki is double majoring in film studies and creative writing with a certificate in publishing. Growing up in the small city of Goldsboro, NC, Ricki’s love for film and writing was passed down from her playwright mother who enlisted Ricki’s help to direct, act, and write for their family-owned, community theatre company. At UNCW, Ricki has refined her passions as she pursues her goal of writing, acting, directing, and producing. Outside of her career aspirations, she is a spoken-word artist, blogger, a Resident Assistant for Housing and Residence life, founder and president of the Creative Arts Club, and dance instructor for the non-profit organization Gifted In Rhythm and Life (G.I.R.L.). Caroline Allen is the Operations Director of Visions 9 Film Festival & Conference. She is in her senior year at UNCW and is a double major in Film Studies and Business Administration. She fell in love with the camera when she was 3 years old and she began creating home movies and taking as many photos as she could. In high school, Caroline became active in community theater and loved being a part of every aspect of production. Her passion for the arts inspired her to pursue a degree in film, and her interest in production encouraged her to pursue a business degree as well. Caroline hopes to one day have a career in film and television production. But while she works toward this goal, Caroline enjoys working in media production and event management jobs, and loves learning as much as she can about all aspects of film. Amanda Melton is the Registration Coordinator for Visions 9. She is also a director, editor and writer with a focus in documentary filmmaking. Amanda has had an interest in the production side of filmmaking since she was a young child, often obsessing over behind the scenes footage found online or on DVDs. However, it was not until attending UNCW, as a Film Studies major, that she began to appreciate critical theory responses to films. Amanda will be graduating in Spring 2019 and currently utilizes her spare time editing her own projects and writing short essays contextualizing various aspects of film history. Her current project focuses on controversy surrounding a secretive cult in North Carolina. RJ Cosimeno is the Lumina Tech and Live Feed Coordinator for the Visions 9 Film Festival and Conference. RJ, originally is from Wilson, NC and is currently living in Wilmington, NC. He previously worked with WCSTV22 filming and directing live performances, documentary film, and school related events. After graduation, RJ plans on becoming a part of commercial production. He aspires to being able to establish his own commercial production company. In his meager free time he manages to run, swim and occasionally eat. Connor Queen was the Programming Assistant of the Visions 9 Film Festival & Conference. Currently a Junior at UNCW, he is pursuing a degree in Film Studies. Connor began creating stories with his toys at the age of two and has since become passionate about storytelling, both visually, and verbally. 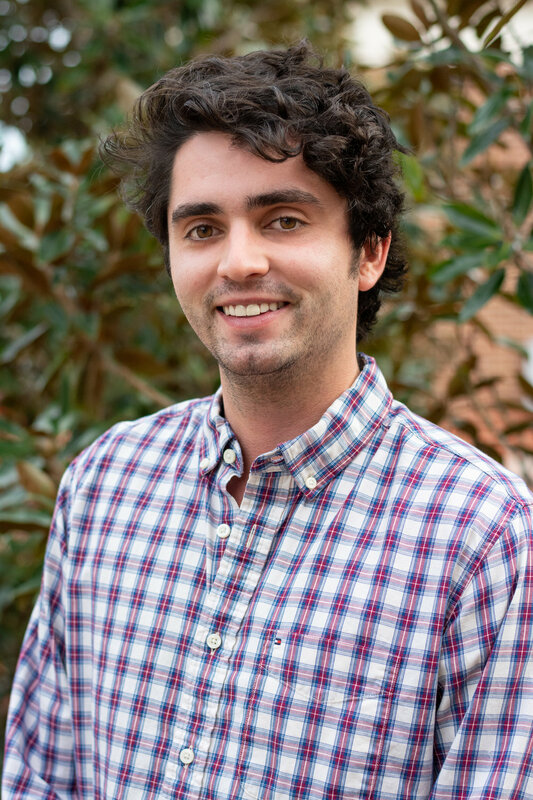 He joined UNCW in the fall of 2017 as a transfer student and spent this past summer in Los Angeles, interning in Beverly Hills at The Donners’ Company and in West Hollywood at Retrofit Films. He worked under the critically acclaimed Richard Donner, who directed films such as The Goonies, Superman, and Lethal Weapon. He worked with Lauren Shuler Donner as well, who produced both Deadpool movies, along with the entire X-Men franchise. Connor plans to work at a network, such as HBO or CBS in New York City after graduation and continue to create his own stories in his free time. Katerina Korbelak was the Director of Hospitality and Outreach for Visions 9. She is a Junior at UNCW studying Film and Entrepreneurship. Her love for film started on YouTube back in 2010 and she has since worked on several documentaries and had a short film screened in the Annapolis Film Festival. She hopes one day to own a coffee shop/bookstore and to own a black cat named Kit. Rachel is the Marketing Director of the Visions 9 Film Festival & Conference. Currently in her third year at UNCW, she is pursuing a double major in Film Studies and Communication Studies. Rachel fell in love with film back in high school. Since joining the UNCW community in 2016, she has joined the Association for Campus Entertainment by marketing for events such as movies and other activities. She has moved on to directing Shadow Cast Shows, such as Moulin Rouge and The Rocky Horror Picture Show. Rachel dove into the marketing side by taking photos of events and spreading flyers/ posters around campus. She strives to learn everything she can while here at UNCW and hopes one day to make it to the big screen. Shannon Silva is an experimental, documentary and narrative film director from Austin, Texas. With a BFA from Texas State University and an MFA from the University of Iowa, her films often focus on giving voice to women’s stories and have screened at film festivals internationally. In 2013, her feature documentary, It's A Girl Thing: Tween Queens and The Commodification of Girlhood, was awarded Best Social Documentary at the Philadelphia Independent Film Festival. In 2016, she was awarded a prestigious North Carolina Arts Council Fellowship to complete the narrative short, Baby Oil. The film was nominated for Best Writing and Best Actress at the Massachusetts Independent Film Festival. Most recently she completed the short narrative roller skating film, Shoot the Duck. She is currently in production on an experimental documentary, Too Live and Die in the Shadows, about fern genetic modification. With a special interest in applied learning, her teaching includes hands-on filmmaking production courses, as well as supervising UNCW’s student run Visions Undergraduate Film Festival and Conference.